Retinoblastoma is the most common pediatric intraocular neoplasm and accounts for ∼3% of pediatric malignant tumors, affecting approximately 1 in 18,000 children under 5 years of age in the U.S. It is a highly malignant tumor of the primitive neural retina. Histologically, retinoblastoma develops from immature retinal cells and replaces the retina and other intraocular tissues. Neoplastic cell proliferation is caused by the inactivation of both copies of a tumor suppressor gene (Rb1) that participates in the control of cell cycling. Occasionally patients with ocular hereditary retinoblastoma have an associated independent primary midline intracranial neuroblastic tumor. This syndrome is called trilateral retinoblastoma. Midline intracranial tumors are typically located in the pineal region, but occurrences in the sellar and suprasellar regions are also found. The prognosis for trilateral retinoblastoma is markedly worse, with a high rate of subarachnoid tumor spread. The mean survival in this group of patients after treatment is about 9 months. 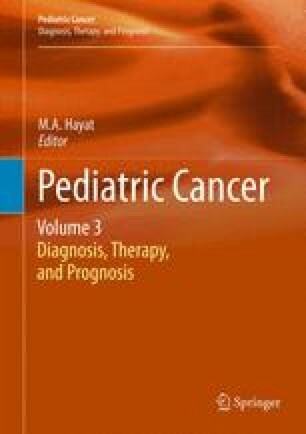 An association between pineal cysts and hereditary retinoblastoma has been described in the recent literature, found that the prevalence of pineal cysts in children with bilateral, hereditary retinoblastoma was statistically significant compared with that in patients with unilateral retinoblastoma. Pineal cysts are supposed to be a benign variant of trilateral retinoblastoma. MR imaging has become a very useful diagnostic tool in evaluation of patients with retinoblastoma. MR is the imaging modality of choice in detection of leptomeningeal spread of the tumor and evaluation of primary intracranial tumors that can be associated with retinoblastoma. On the basis of some cases in which intracranial midline tumors were diagnosed earlier than intraocular lesions, we strongly recommend very careful ophthalmologic and imaging examinations of orbits in all children below 4 years of age with a intracranial midline primary tumor. A screening schedule for patients with the hereditary form of retinoblastoma should be established, especially for those children with a pineal cyst.